My little friend of the forest, the adventurer mouse Trin, is finished. I’m very happy with the result. 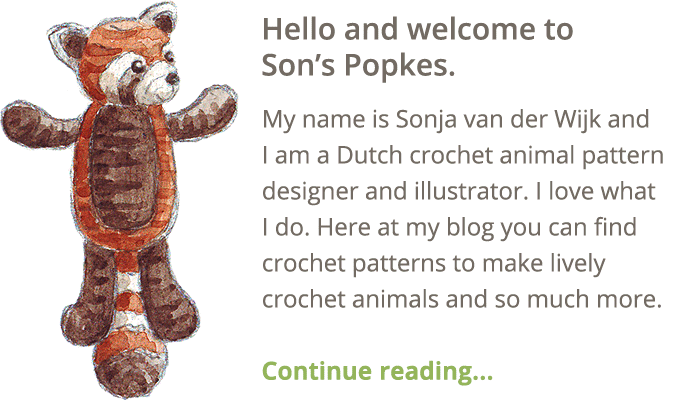 Making realistic crochet animals is fun, but designing a doll like this is exciting, because I create a completely new character, like a game figure. 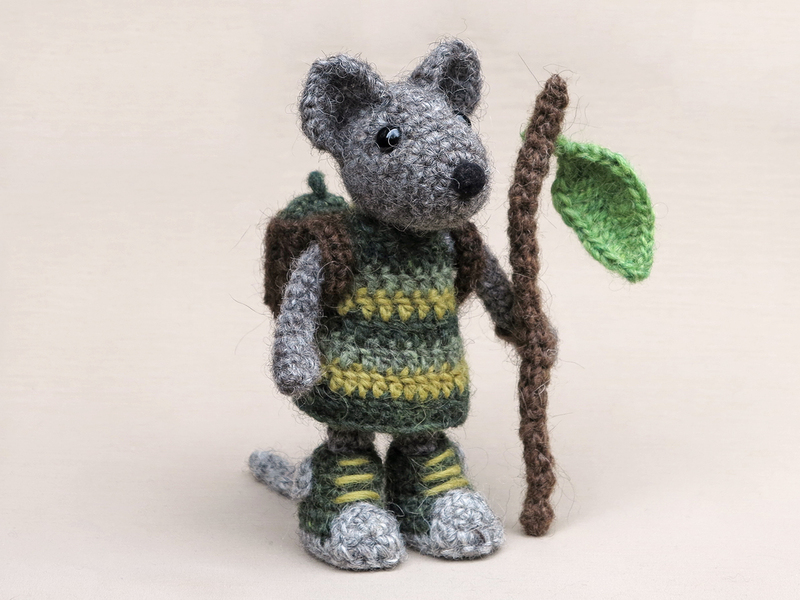 This crochet mouse amigurumi is an adventurer, travelling through the forest. Trin is approximately 6.5 inch/16.5 cm tall when made with worsted weight yarn. I’ve used Istex Lett lopi to make this mouse, it is a 100% wool with a lot of fuzziness. Because this is one of my first patterns, it received an update in march 2018. The new pattern is written like the free ones here, in standard American crochet terms. 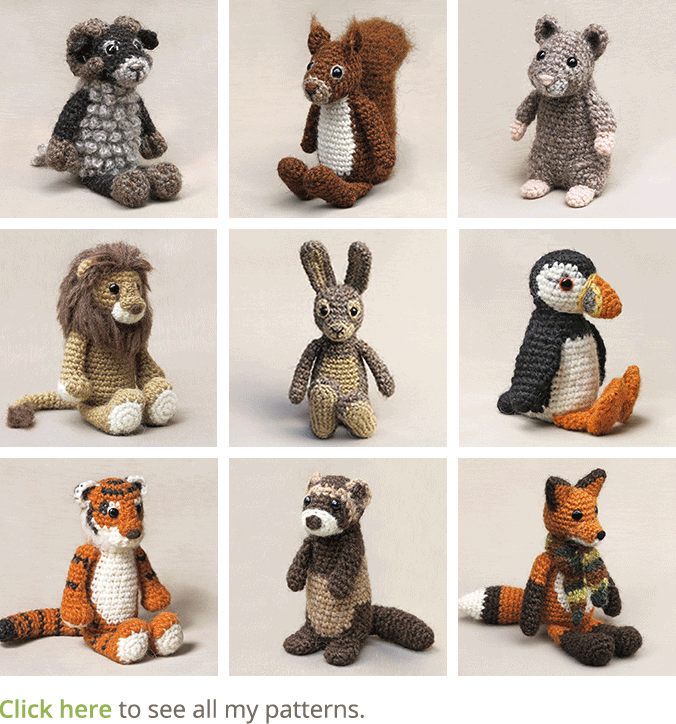 It contains a clear description of how to crochet and assemble this animal, with extra illustrations and example pictures at the bottom to help you get everything right. In the pattern you can also find what materials you need, the yarn colour numbers, in short, everything you need to know to make your own adventurer mouse. All the additional information you need to know about this pattern you can find in the shop listings. You can buy this pattern in my shop at Craftsy and in my Ravelry shop. 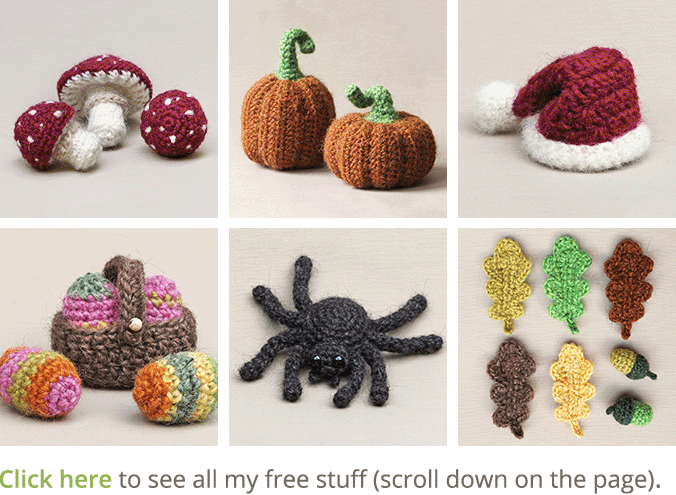 You can also order the pattern directly from me here. The acorns you can also find in a free pattern here, ‘the oak leaves and acorns pattern‘. Trin is extra special to me because he resembles the style of my illustrations. And he could easily be the character in a children’s book. This mouse is called Trin because of the mouse we tried to safe from a cat attack in Trin-Mulin in Switzerland. The mouse died and the cat went home to his food bowl. Beautiful! He looks so eager and serious. Even his stick is beautiful! congratulations! Thanks! The stick was just an idea and I worried how to get it curved right. But it was simple, the pipe cleaner worked perfect.